To say my video game knowledge was limited in high school would be a gross understatement. I was aware of certain big video game franchises through word-of-mouth, but my only actual experience was with Nintendo games on the Gamecube, Wii, Gameboy Advance, or DS. One company, four systems. That was the extent of my gaming finesse. Right before I left for college I got my hands on an Xbox 360 and a decent gaming laptop, but that wasn’t nearly enough to make up for over ten years of Nintendo exclusivity and consequent ignorance. Enter the Angry Video Game Nerd. I found out about the YouTube channel through the always wonderful TvTropes, and I binged every episode of his 100+ video playlist. A lot of people were drawn to this guy because they found his scripted, over-the-top temper tantrums and excessive swearing funny. And that’s not to say I wasn’t in hysterics from the sheer absurdity of the character for nearly every video, but I was obsessed with the channel for a different reason. It taught me so much about video game history. 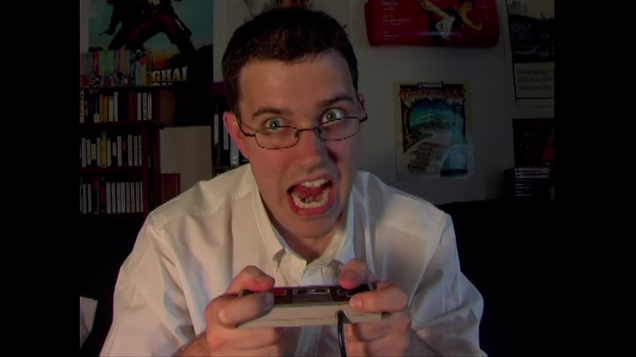 See, when he’s not ripping apart terrible NES games, the Angry Video Game Nerd (AKA James Rolfe) generally has a pretty particular formula for his videos. He introduces the subject of the video, be it an obscure or unusual game, a puzzlingly useless gaming accessory, or a defunct console, and he subsequently rants about how terrible it is. James’ clever (if often obscene) writing and solid filmmaking prowess keep things interesting, but most of his videos hit the same beats. This is by no means a bad thing, as the historical introductions for these gaming relics had me absolutely enthralled. I had barely heard of the Atari Jaguar, Sega Genesis, and even the NES and Super Nintendo. An entire world of gaming had opened up to me, one that I had entirely ignored until that point. Where would I be if I hadn’t heard of the CD-i? This led to a journey of discovery. I found myself wanting to play not only the classics that James held in such high esteem, but also other games that I never would have considered before. From well-known indie games like Limbo and Braid to weird, experimental titles like The Stanley Parable and Contrast. I was in a college dorm with a bunch of other nerds, several gaming consoles, and an absurd amount of time. Thanks to the AVGN, I was able to make full use of that gamer’s paradise. Nowadays I consider my understanding of the gaming realm to be fairly well rounded, like most everyone on this website I imagine. That understanding has really helped me turn my favorite hobby into something meaningful to me, something more than an enjoyable distraction. Video games are such an incredible art form, but without James Rolfe’s goofy YouTube channel I would have been missing out on so much of the medium. So thank you, Nerd. Thank you for showing me how much more the gaming world has to offer.